Elvis’ third season in Las Vegas & the excitement was still there for him. While every Elvis Opening Show captures something unique & exciting, this time the MGM cameras were also there to film every move. The reputation of Elvis’ new live concerts had spread far & wide and not only was every ticket sold-out but showbiz celebrities were also clamouring to see Elvis in action. 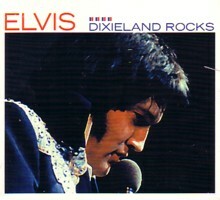 The last season had been recorded for his ‘On Stage’ LP and Elvis was keen to modify the set-list adding new material as well as featuring his recent hit singles. To demonstrate just how different Elvis’ plans were, his classics ‘Hound Dog’, ‘Heartbreak Hotel’ and even his recent number one ‘Suspicious Minds’ did not make the set-list of the first show! Instead Elvis wanted to feature more challenging compositions including ‘The Next Step Is Love’ (Elvis’ only live performance), ‘I Just Can’t Help Believin’ and used his groundbreaking first single ‘That’s All Right’ to make a definitive statement as the opening number. This season was also the first time that Elvis used the Joe Guercio orchestra, which added impressive, new backing arrangements to the outstanding songs. These new arrangements (with the help of Glen D Hardin) can be appreciated in the fullness of ‘I Can’t Stop Loving You’, ‘Bridge Over Troubled Water’ and the exquisite ‘I Just Can’t Help Believin’. While this Las Vegas season has to be well-known to all Elvis fans, we have to remember that this was the Opening Night, with Elvis as the consummate, professional performer. With the full TCB band - Ronnie Tutt was back this season - as well as the Joe Guercio orchestra the set-up would hardly vary for the rest of Elvis’ live career. Being the first show there are some moments where the songs do feel a little unrehearsed (2 nights later, the Midnight show of August 12th is often regarded as Elvis’ best ever) but this is concert Number One and what an important show it is. 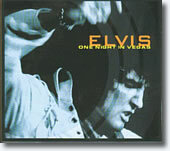 Incredibly, out of the sixteen songs Elvis performed eight of them were brand new! As well as ‘The Next Step Is Love’, this was also the very first time that Elvis performed ‘I Just Can’t Help Believin’, ‘Something’, ‘You’ve Lost That Lovin’ Feeling’, ‘I’ve Lost You’, ‘Bridge Over Troubled Water’, ‘You Don’t Have To Say You Love Me’ and ‘Patch It Up’. Elvis sets the scene using ‘That’s All Right’ for the first time as his introductory number following it with a powerful ‘Mystery Train/Tiger Man.’ He was out there to perform to the cameras & audience and nothing was going to stop him. In a delightful aside Elvis whoops and comments, “I feel Like Johnny Cash”! Having heard & seen so many of these August concerts it’s hard to recollect just how historic and important this show really is. His new single was ‘I’ve Lost You/The Next Step Is Love’ and he performs both sides here. While the arrangement of ‘Next step’ is a little rushed, it does feature some great wah-wah guitar work from James Burton, as well as an excellent orchestral arrangement. 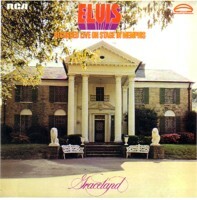 Sadly Elvis would not attempt this song again making this is a must for any fan. Elvis introduces ‘I’ve Lost You’ as, “My new record it just came out about a week and a half ago.” This first version, while a little un-rehearsed, is still a delight. The TTWII film featured the version from 2 nights later. Elvis would continue to perform this passionate song during his first US Tour but would sadly drop it from his set-list after September. Disappointingly the single only made #32 in the US charts but was more appreciated overseas where it made the Top Ten. 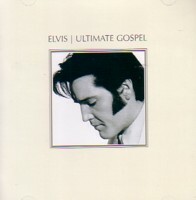 ‘Words’ gets a very different, fuller orchestral treatment from the previous year and ‘Sweet Caroline’ also benefits from the power of Ronnie Tutt’s percussion making it one of Elvis’ best-ever performances of the song. There is also a delightful, rare, moment in ‘Words’ @ 1.00 when Elvis’ voice slips off-key but manages an immediate recovery – Cute! Any version of ‘I Just Can’t Help Believin’ must be a treat but of course this is the very first and it is absolutely stunning. The audio mix is lighter than the TTWII single version, Elvis growls an immaculate, “Yeah Baby” @ 2.40 and is really into the song. There is a great delicacy & care here, and this version also doesn’t feature the harmony vocal of the single. It is pure Elvis and pure magic. Elvis’ first version of George Harrison’s ‘Something’ is another delight. How extraordinary that Elvis’ gorgeous version of this soulful song wouldn’t be released until Aloha 3 years later. These earlier versions definitely have a more passionate & sensitive feel. ‘You Lost That Loving Feeling’ is extraordinary as the first live version. While there can be no doubt that the August 12th version (with that outstanding reprise) is the ultimate performance, this composition is just perfect for Elvis’ 1970 soulfulness. ‘You Don’t Have To Say You Love Me’, yet another first, follows. This was a preview of Elvis’ next single release but lasting only 2 minutes it does seem a little rushed compared to the single. However when you contrast the audio mix of this concert to the Madison Square shows, the richness of the mix & orchestra makes it a treat - as it would have been for the audience. To the delight of the crowd Elvis announces, “We’re going to get dirty on you ladies & gentlemen.” While the supreme ‘Polk Salad Annie’ versions would be filmed later in the season there is still the lovely comment in the middle, “I feel like an old stripper!” Again it is great to have Ronnie Tutt back on drums. ‘Bridge Over Troubled Water’ is another live first. This arrangement is beautiful and you have to consider that no one in the audience would have ever heard Elvis sing this before! To them it would still be the classic ‘Simon & Garfunkel’ song as Elvis’ record version wouldn’t be out for another 3 months. From the sensitive & touching start through to the melodramatic ending, this is an absolute stunner. The TTWII film version comes from the following night. On this first show Elvis decided to use ‘Patch It Up’ (his soon to be released new single) as the show’s energetic finale rather than ‘Suspicious Minds.’ Being the finale Elvis seems to works harder on the call & responses than the TTWII version. The mix here is very rich & full of Jerry Scheff’s bass which also benefits the song. (Elvis only sang this song twice in concert). And with ‘Can’t Help Falling In Love’ that follows this classic opening night ended. The concert itself is reason enough to make this CD an essential purchase but FTD have treated us to even more, with 5 bonus rehearsal tracks. These are taken from the (professionally recorded) rehearsals in the International Hotel’s Convention Centre that were featured in the film of TTWII. Apart from capturing the fun of Elvis yodelling, these are beautiful versions of the stage numbers but without the orchestra. Eavesdropping on Elvis & the band as they perfect ‘Twenty Days & Twenty Nights’ as well as hearing ‘You Don’t Have To Say You Love Me’ & ‘Words’ without their dramatic orchestration is a real joy. Verdict: If there is one minor complaint it has to be that the band introductions are missing making it an incomplete show. However, since this leaves room on the CD for the delightful rehearsal tracks it is a minor quibble. The audio mix is astoundingly good which is just one more excellent reason to make this an absolutely essential FTD purchase. Elvis says during the show, “I really can’t thank you enough for coming in to see the show.” Hearing his charming comment makes me want to thank Elvis for such an amazing season of intense concerts, as well as FTD for giving us a chance to hear this important show.